This a monthly series which I have been publishing for years. To get the latest cheese promptly delivered directly on to your screen you can subscribe here. Why are these plain cheeses my favorites for this month? Because they represent an encouraging contrast to the industrial boredom of the usual, standardised offer at supermarkets and are therefore a step into the right direction, especially in the context of the post-communist consumption binge that is (for understandable reasons) still widespread in Albania. At the same time I am aware how risky it is to write about kaçkavall. Not only in Albania, but between the Caucasus and the Adriatic Sea just about everybody seems to have a different view on this, claiming it – under all kinds of slightly different names – as their own, in its true and only and historic form (something that pertains to many things in Albania – or rather the whole of that region). Kars Kaşar for instance, from eastern Anatolia, belongs to the same, widespread family. 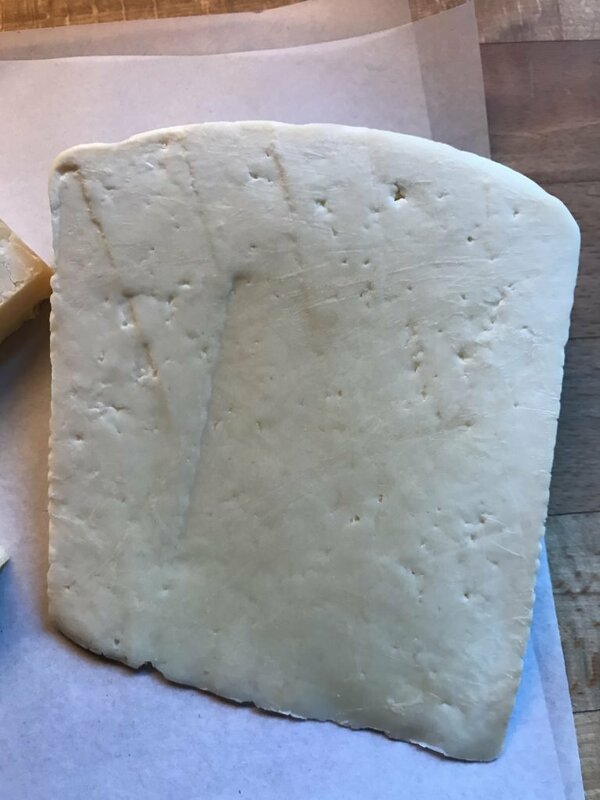 I certainly know how Kars Kaşar is made, using methods that reminded me of cheddar, but also filatura cheeses such as Sicily’s Cacciocavallo and the large Ragusano. The lightly pressed curd is left to drain and acidify in the vat before being milled repeatedly, then dipped in large sieves into hot salted water and mixed with a stick while melting. Finally the cheeses are kneaded with salt and pressed into moulds, then left to mature in the mountain breeze. To be sold as aged, a large Kars Kaşar must have at least 120 days, when it is dense, dry but still elastic. 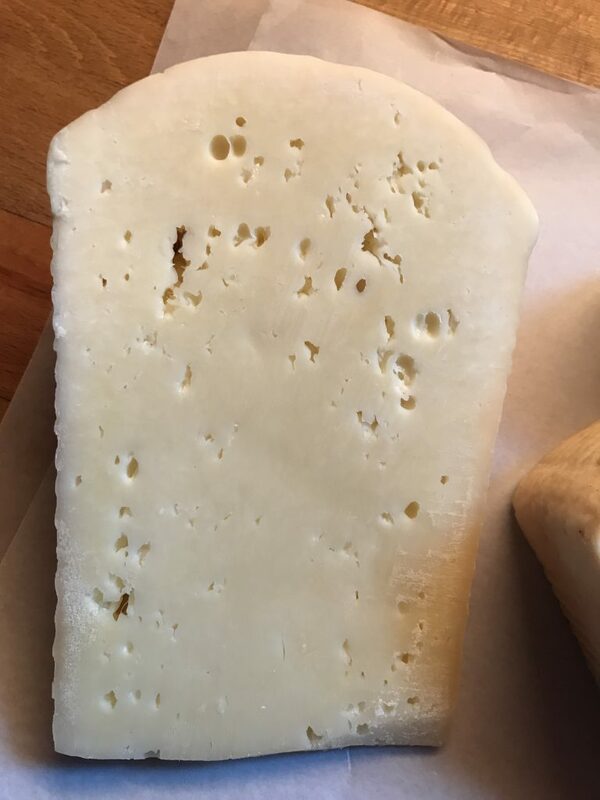 The cheeses I bought as Kaçkavall in February in Tirana were not only young, but probably made very differently. 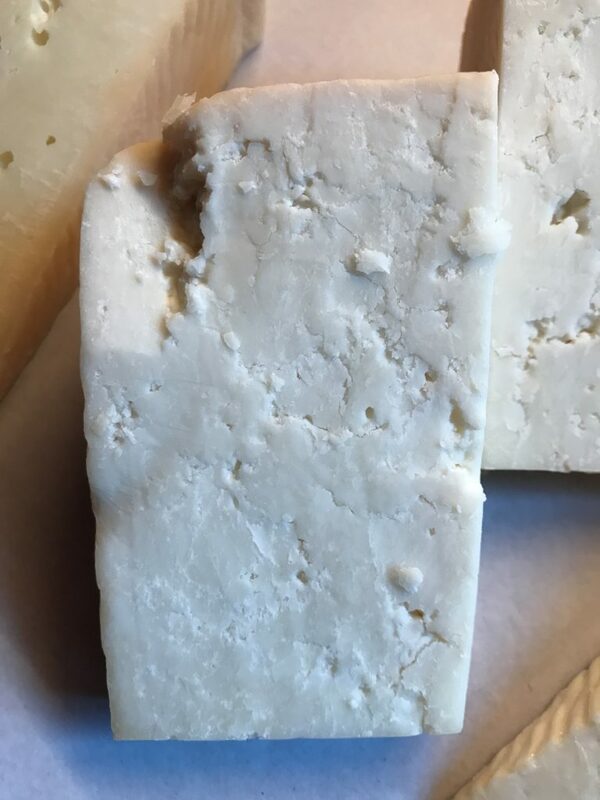 The term is often used as a generic one, to differentiate dry-matured wheels such as these from rindless cheeses stored in brine (which in Albanian are called djathë, whereas we mostly use the Greek name feta). I might be wrong, but I thought the curds had been slightly heated in the whey, salted and then pumped into the moulds, followed by a light pressing. The large wheels were from an organic store called Natyral. They were only a few weeks old and had come from their own farm in Ndroq, half an hour by car west from Tirana. They demonstrated quite impressively the differences between the animals, or rather their milk: from cows (right) very shy in flavour and the texture slightly rubbery, from goats (centre) more dry and crumbly, but also much louder in taste. 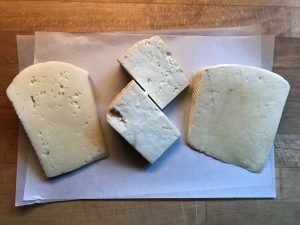 And from sheep (left) even in this young, simple version well-rounded and elegant – another reminder of the fact that most traditional Mediterranean cheeses in their original form were based on rich sheep’s milk, with some goats‘ milk (much more rarely cows‘) occasionally added. 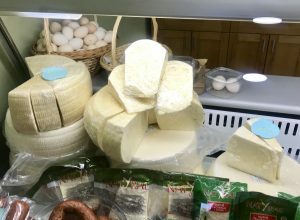 When I am next in Albania I’ll have to visit not only some wineries, but also a few dairies – and I’d be more than happy about any comments and relevant information! This a monthly series which I have been publishing for years. To get the latest cheese promptly delivered directly on to your screenYou can subscribe here.